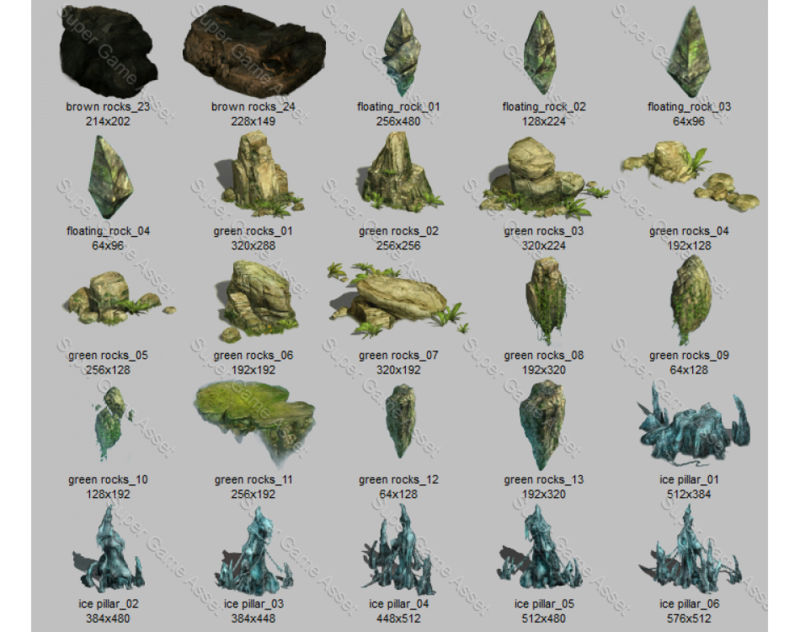 Realistic rocks set 1 contains rendered Isometric rock sprites, suitable for realistic, mobile, RPG, strategy game maps, contain several types of rocks layed out in different groupd. 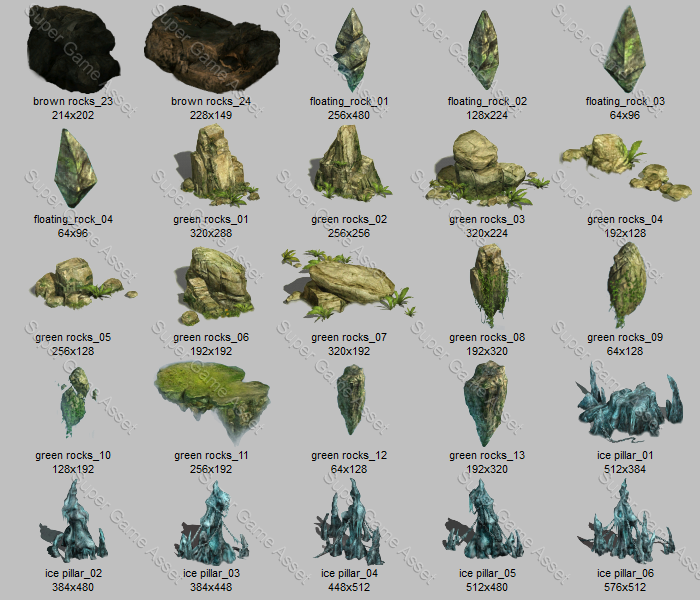 See screen shot for detailed list of each rock and their sizes. 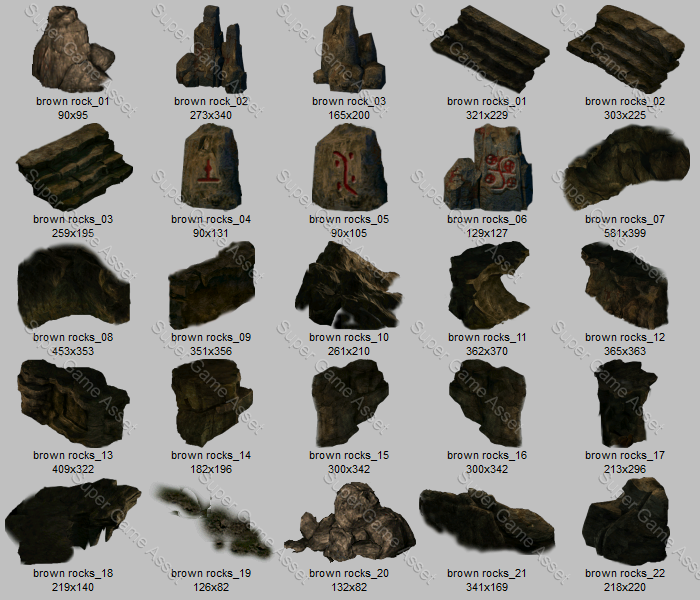 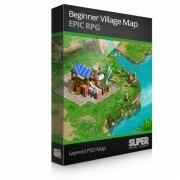 Can be used to populate empty game map. 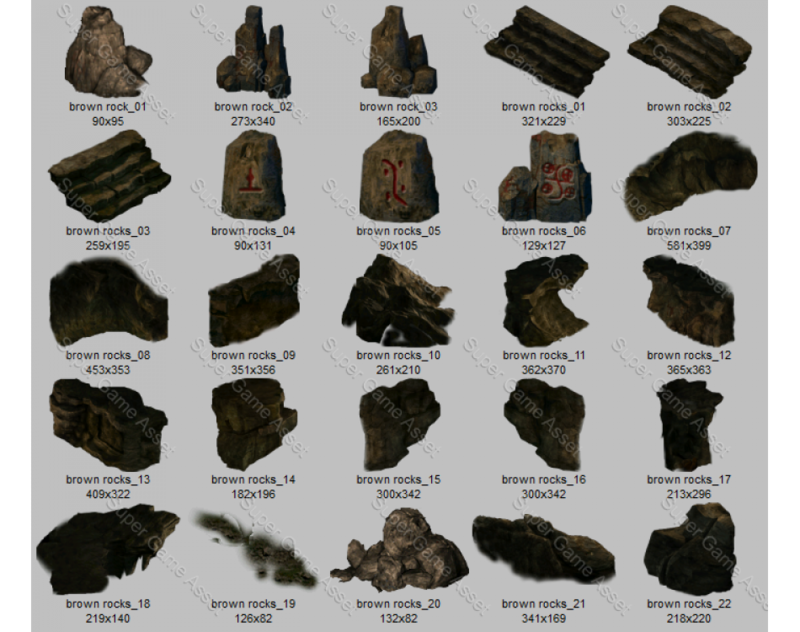 - Contains 50 separate PNG sprite files with transparency.